After you’ve lived in a new house for a while, you can end up getting a little twitchy and want to make some changes. Landscaping the garden, repainting the outside of the house and renovating the kitchen are always on the priority list for most homeowners as these refresh the house in the best ways. Luxury bathroom installation and buying new carpets come next and the little changes like the furnishings and artwork on the walls. Redecorating is exciting and redeveloping your house room by room, while pricey, can be a satisfying project to finish. Remodelling your kitchen is always one to come first as the kitchen is where you may spend most of your time. Your dream kitchen isn’t very far out of reach if you have the right planning help and design ideas. A dream kitchen always starts with upgrading the countertops and kitchen island and companies like Granite ASAP are always there to assist with choosing the perfect surfaces you’re your kitchen space. Eating, cooking and general cleaning always start here and we’ve got five amazing excuses – ahem, reasons – for you to save up and renovate your kitchen into the one you’ve always dreamed! Value: Your kitchen is the first place you go to every morning and the last place you wipe down at night, so it stands to reason that the value of your home is anchored in your kitchen. 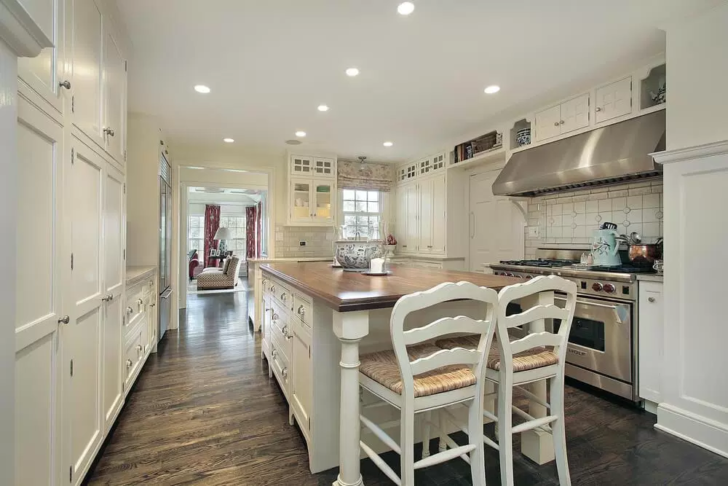 If you ever decide to sell up, prospective buyers will be itching to see a modern, beautiful kitchen with all the amenities and having new counters and cupboards can only serve your house value. Lifestyle: When you spend a lot of time in the kitchen you want to be comfortable and as part of your life is spent in front of the oven or at the kitchen table, indulging in a little luxury for the kitchen you use is a fantastic reason to splash a little cash. Energy: Being aware of your carbon footprint and the amount of energy you use is important. A new kitchen can mean a reduced energy cost as newer appliances are largely more efficient than clapped-out old ones. Efficient appliances can do better for your kitchen and the environment. Win-win! Change: Sometimes the biggest reason is that you simply want a change in your environment. Our homes reflect us and a lick of paint or a new flooring laid down can do wonders for how we feel about our homes. There’s quite a satisfaction in redoing something to our own tastes and that’s what you get with a remodel. Modernity: Upgrading a kitchen is mostly about keeping up with trends and enjoying an up to date kitchen look. If it’s to your taste, you can remodel to something more retro like these kitchens, but mostly people like to add technology and upgrade into something sleeker. Your kitchen can be replaced to your own specification and designing your own kitchen from scratch is a treat that most people are not privy to. Get your thinking cap on and creative brain at the ready – you have a kitchen to design.